SSO stops working after Parallels Client was updated. 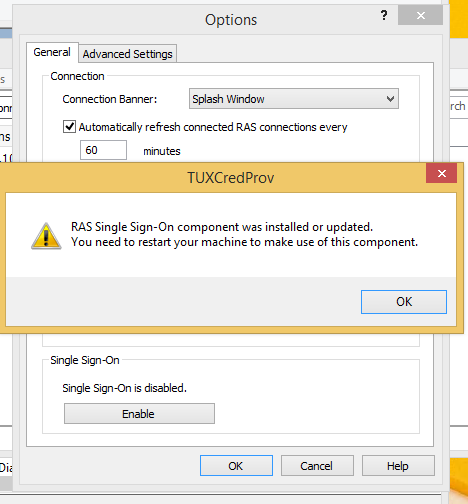 RAS SSO Service is not present in services.msc. SSO needs to be re-enabled after Parallels Client update. In Parallels Client go to Tools > Options. In Single Sign-On section click on Enable.